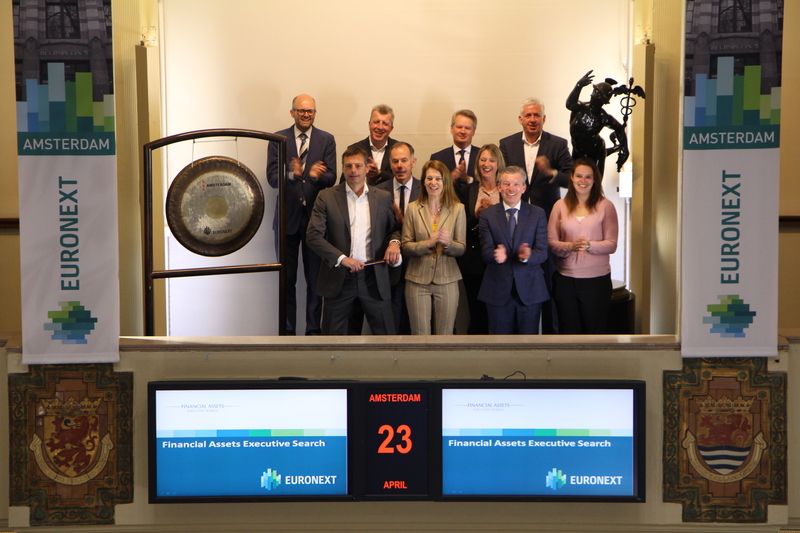 Financial Assets Executive Search, niche player in the finance sector, has expanded its services to IT. 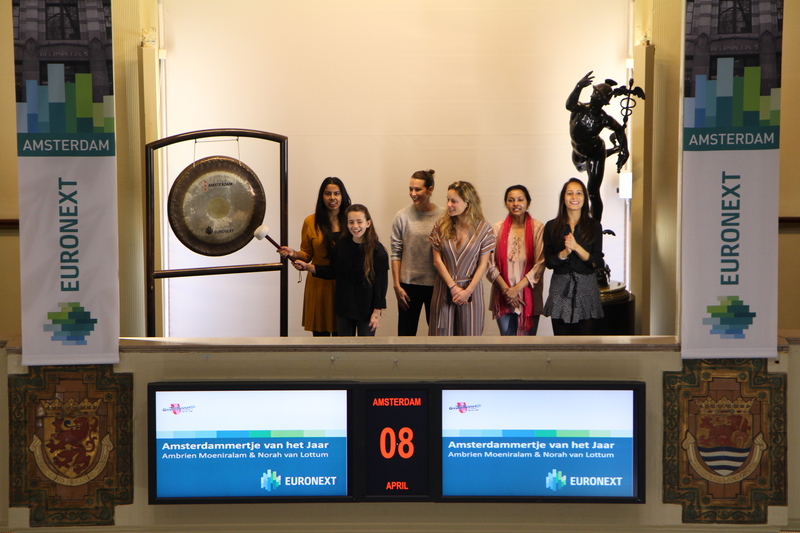 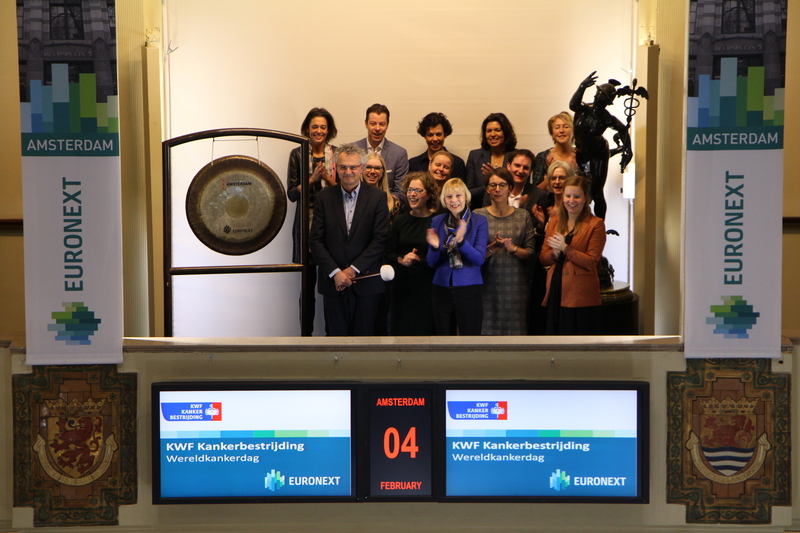 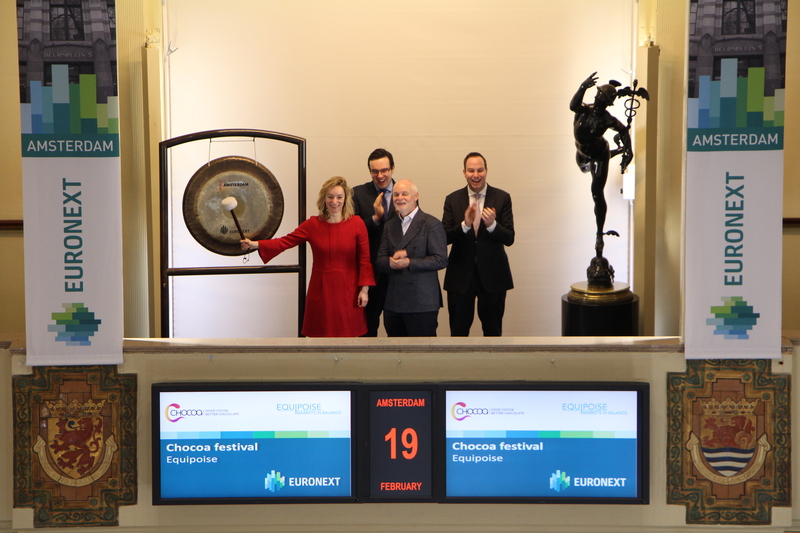 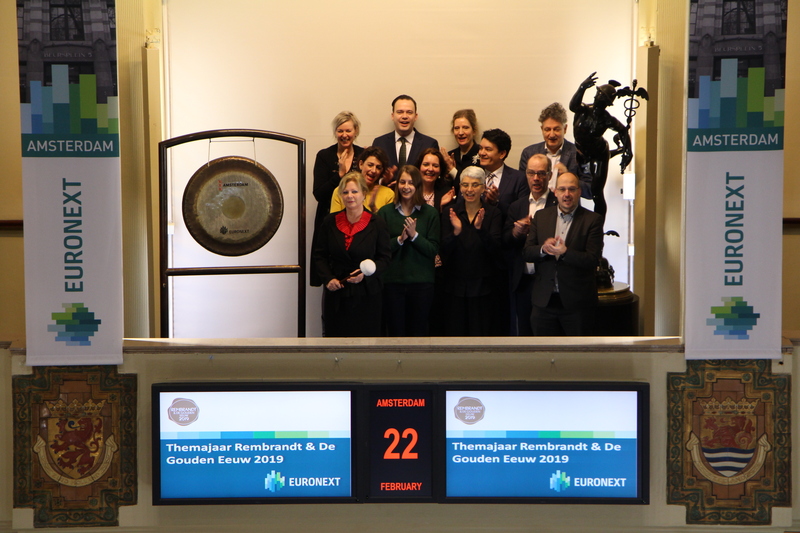 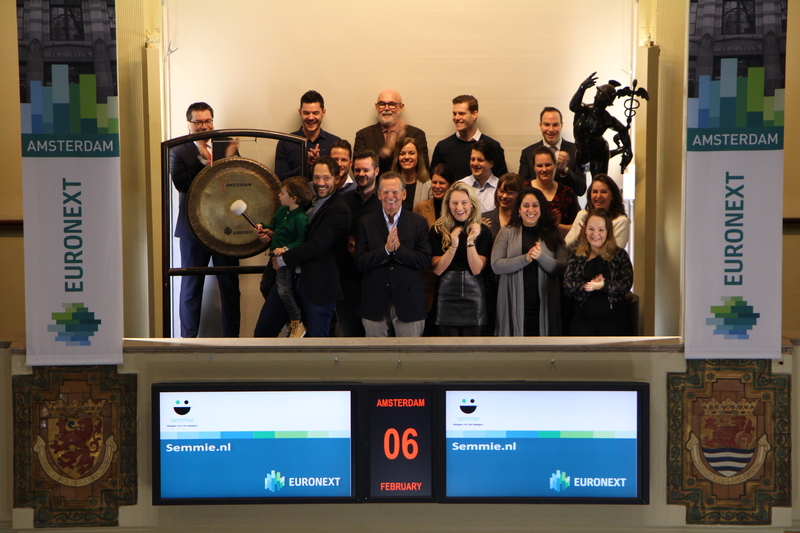 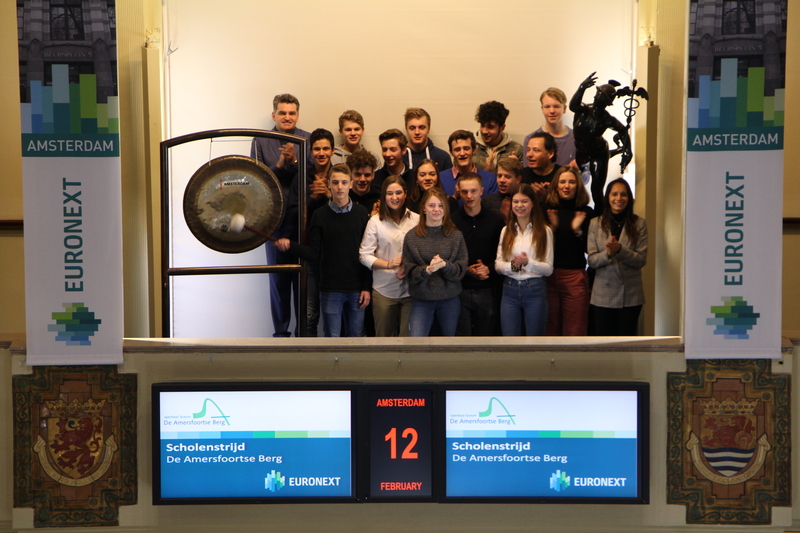 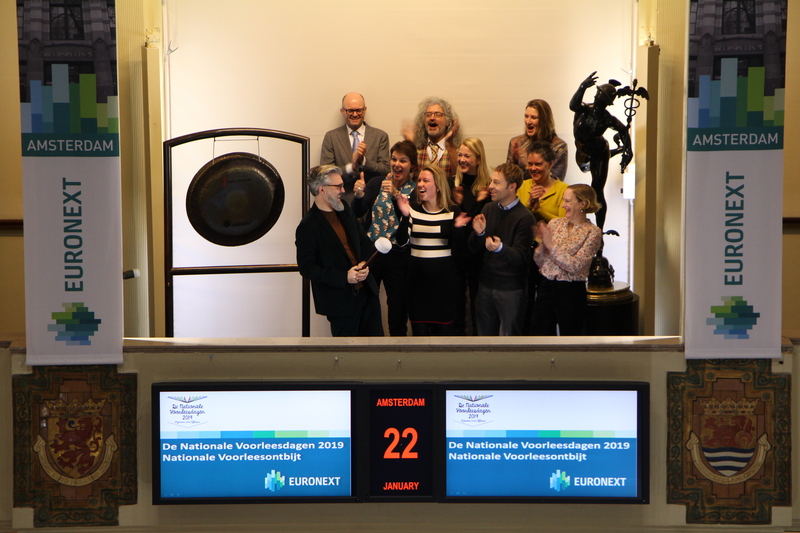 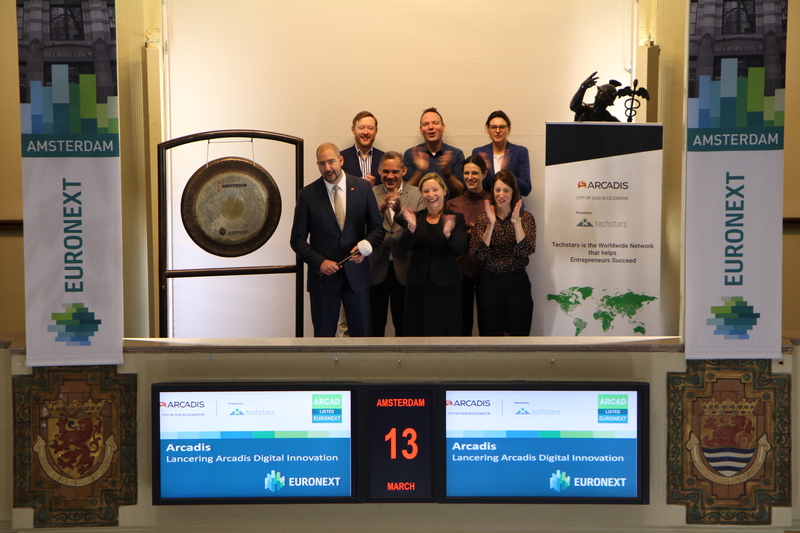 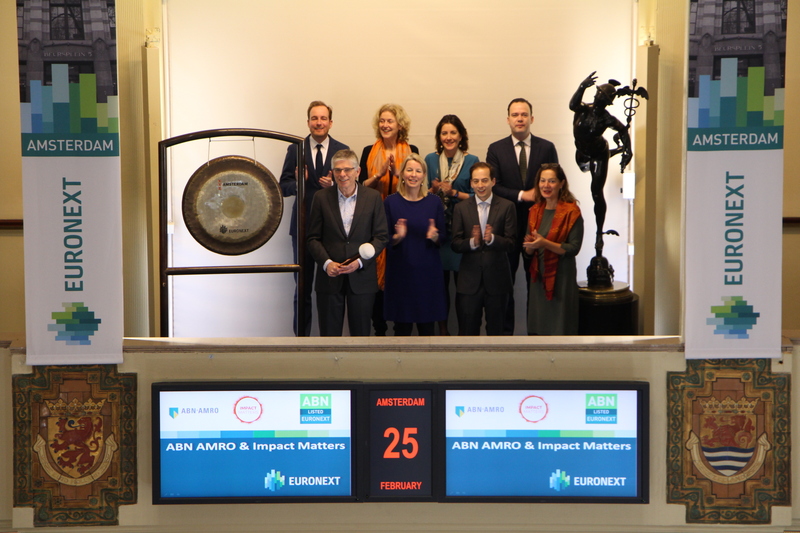 On this occasion Chris de Groot, founder and managing partner, sounds the gong. 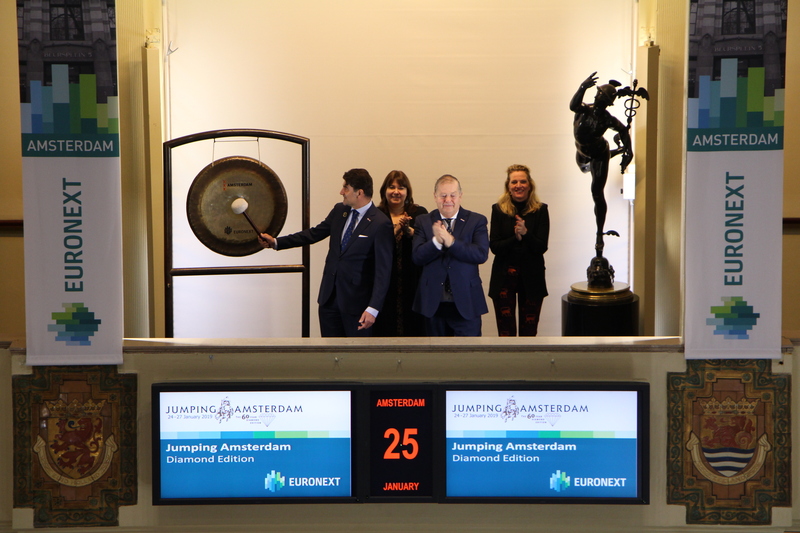 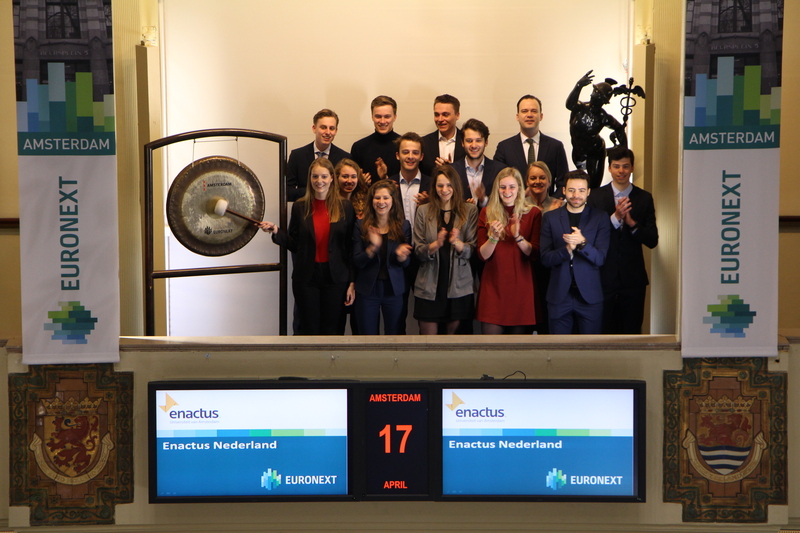 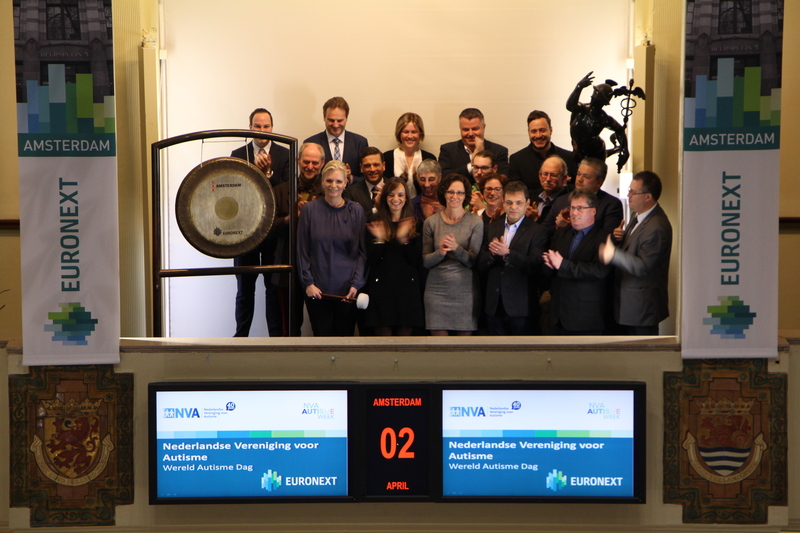 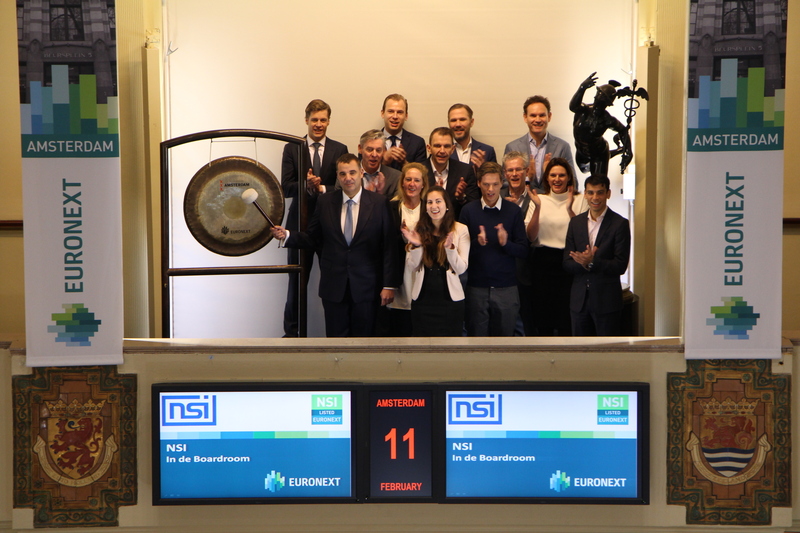 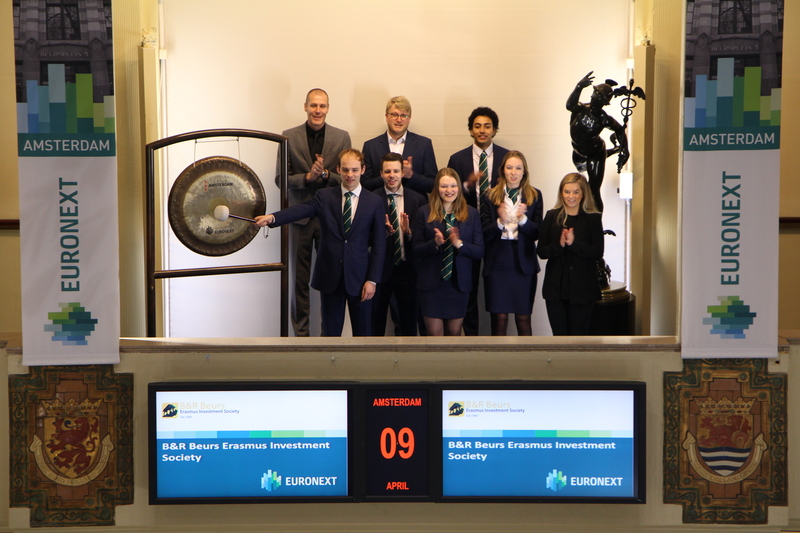 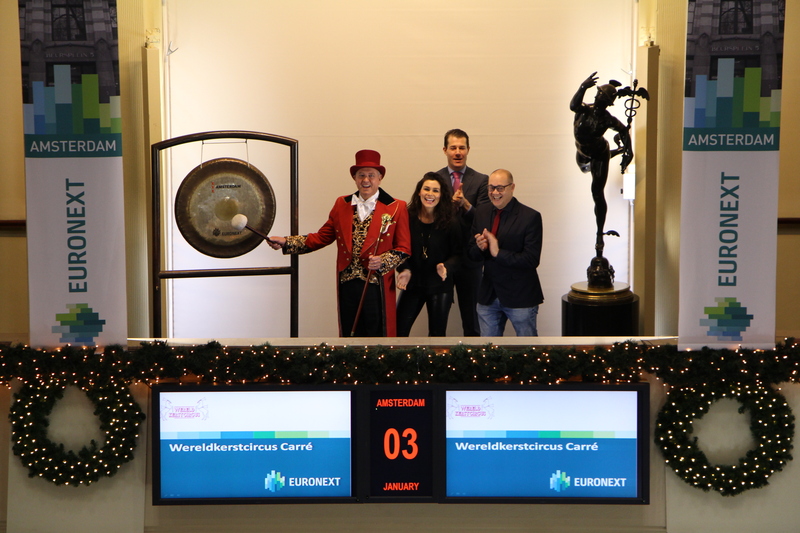 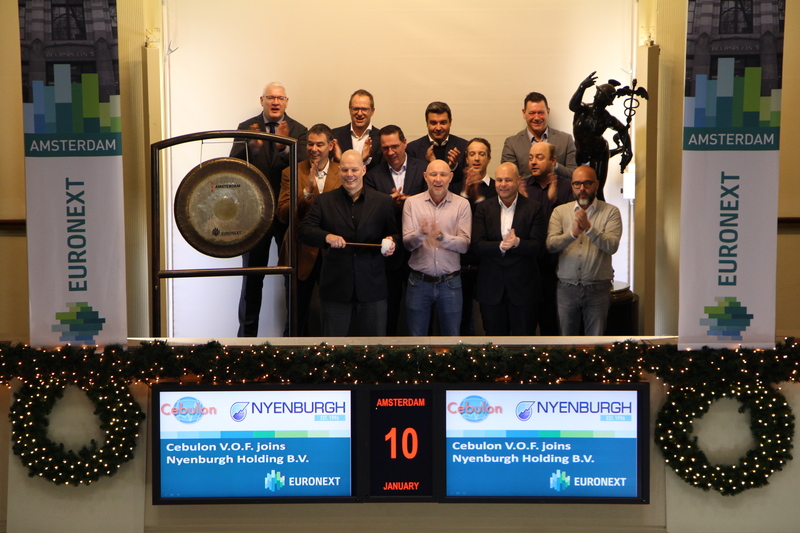 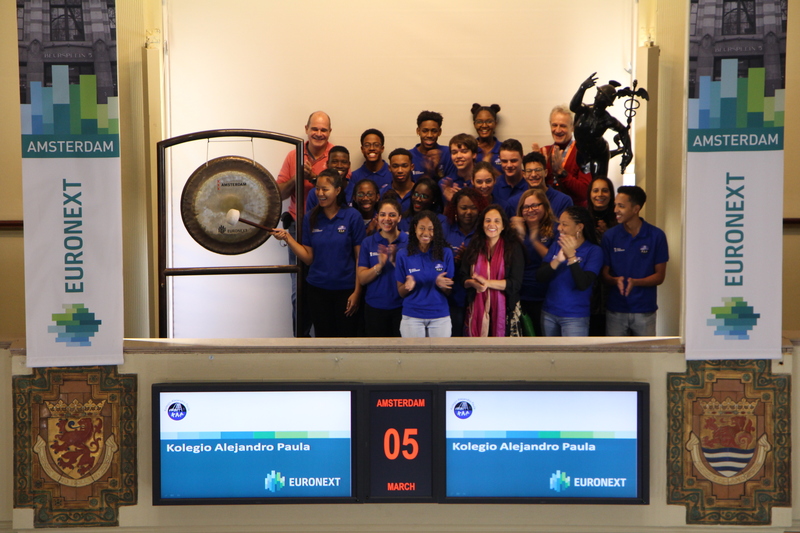 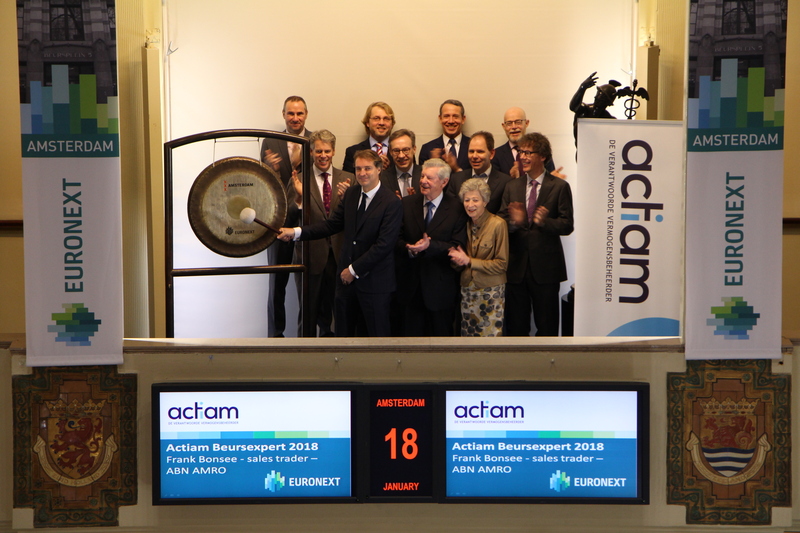 “The first stock exchange in the world was established in Amsterdam in 1611. 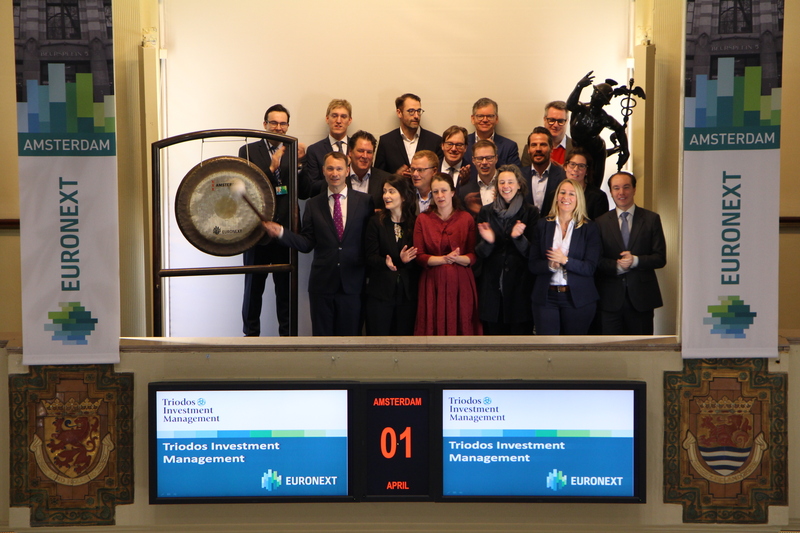 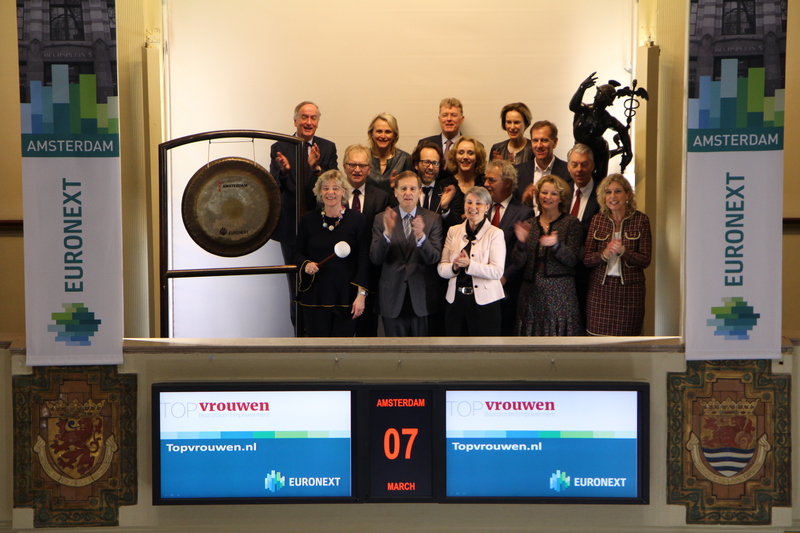 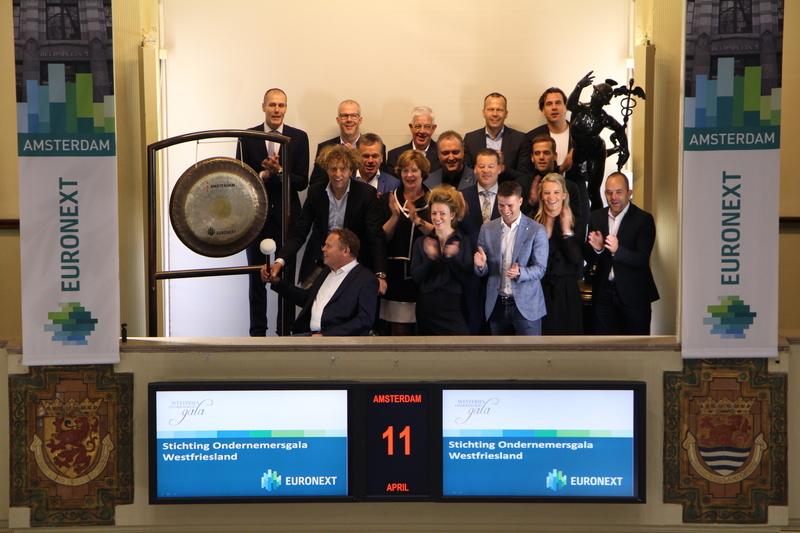 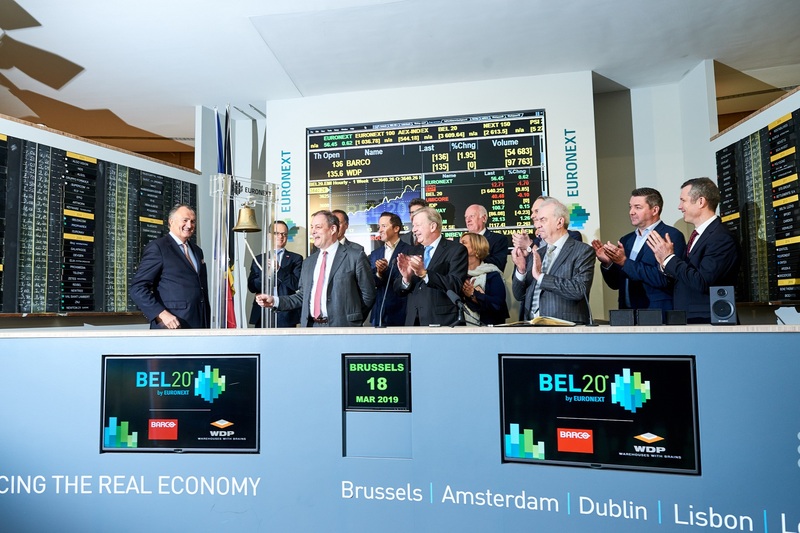 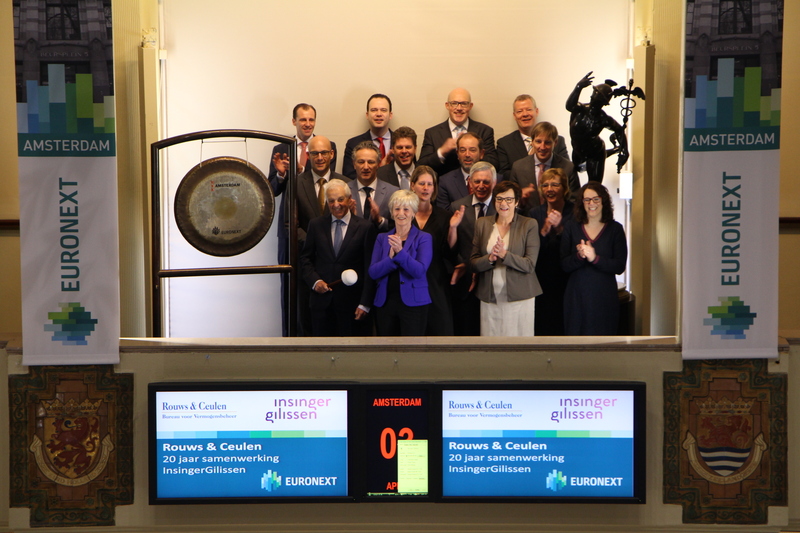 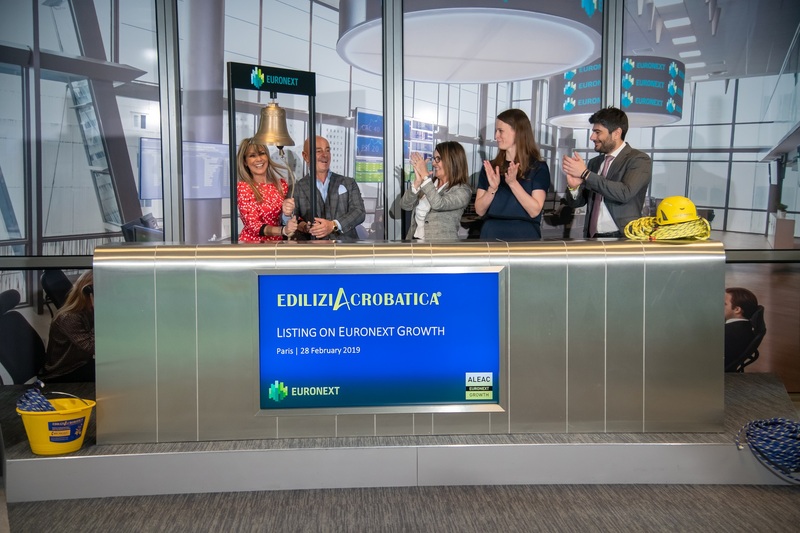 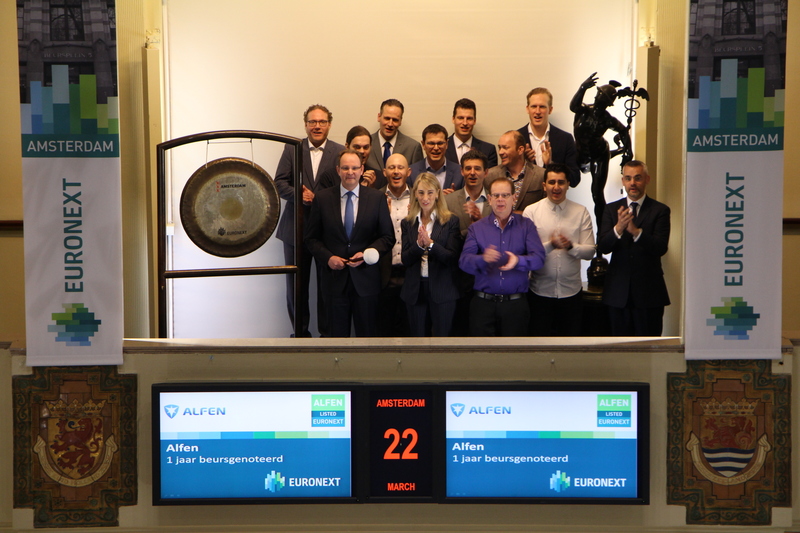 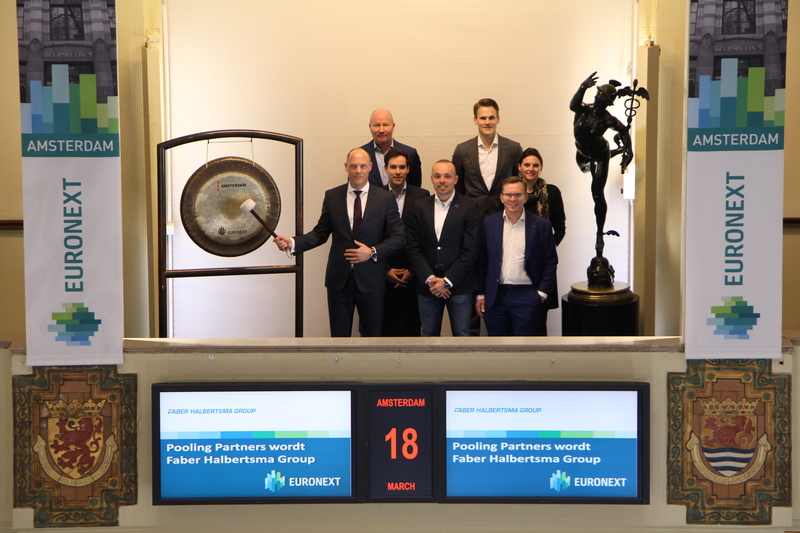 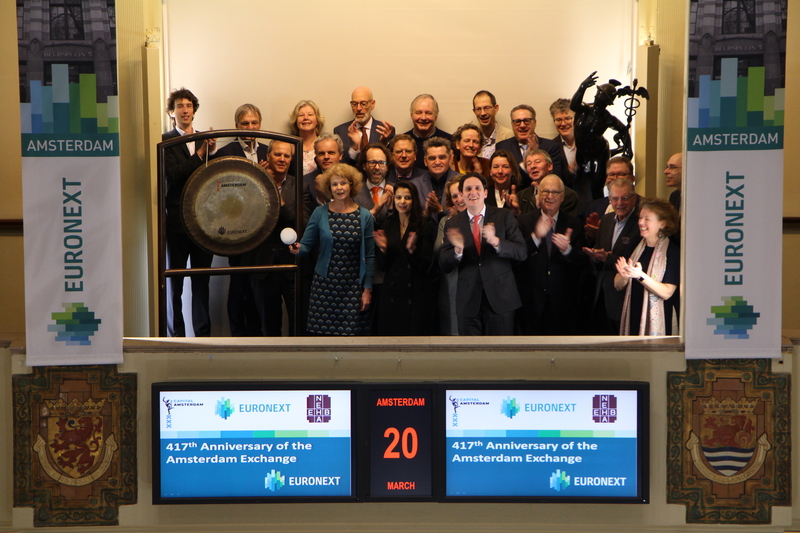 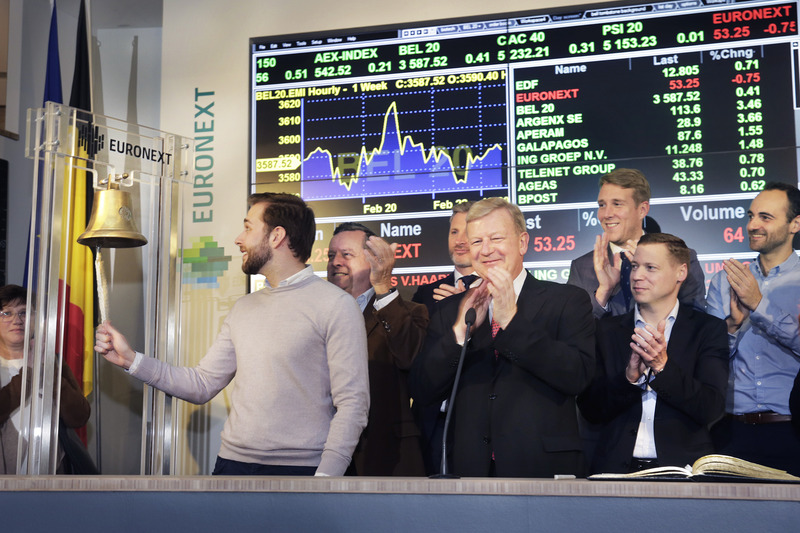 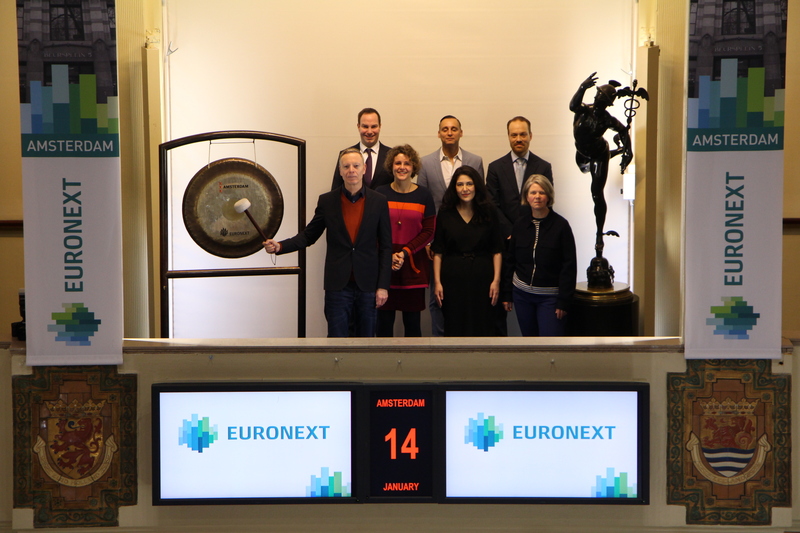 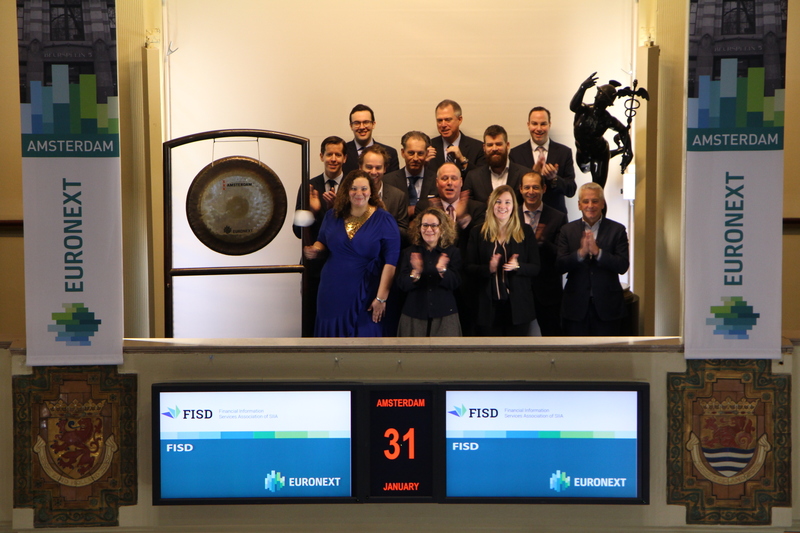 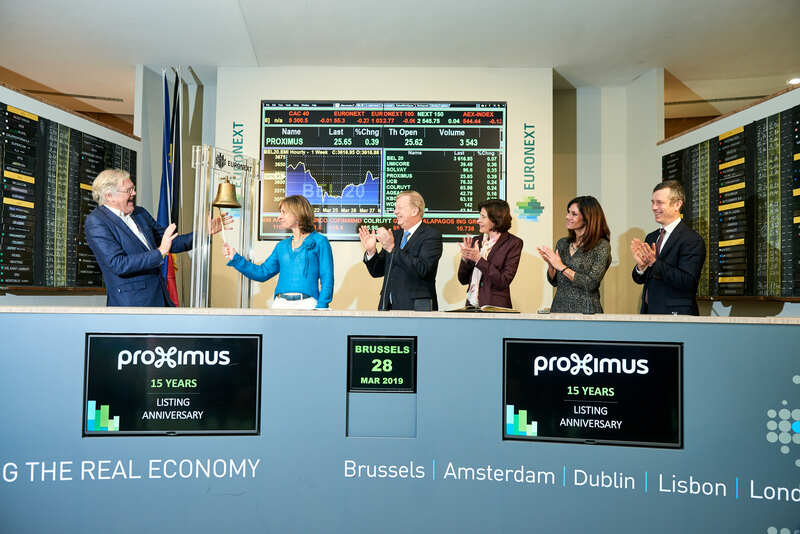 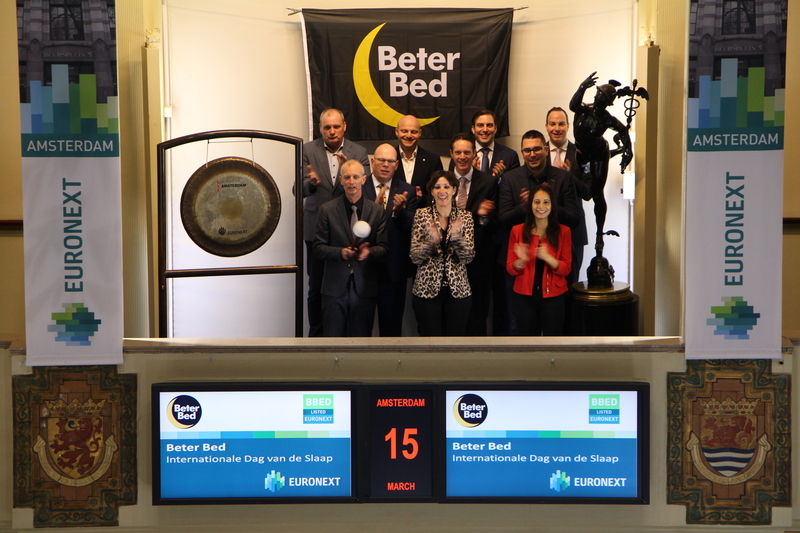 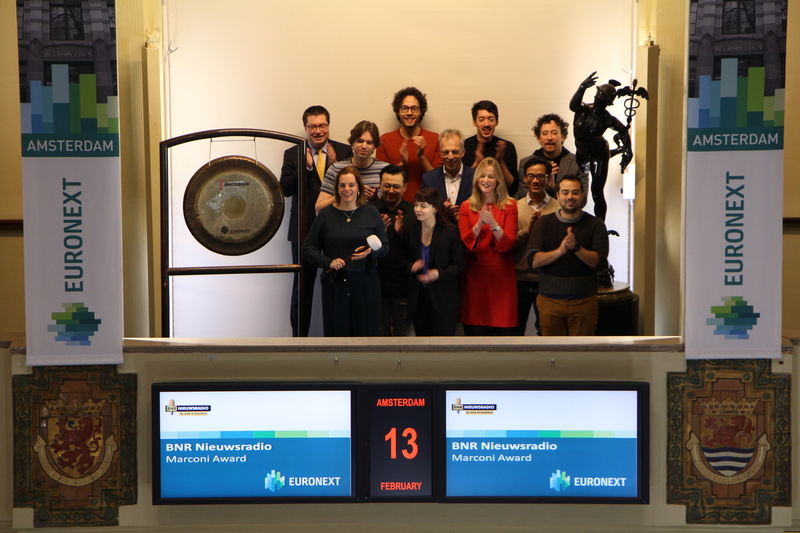 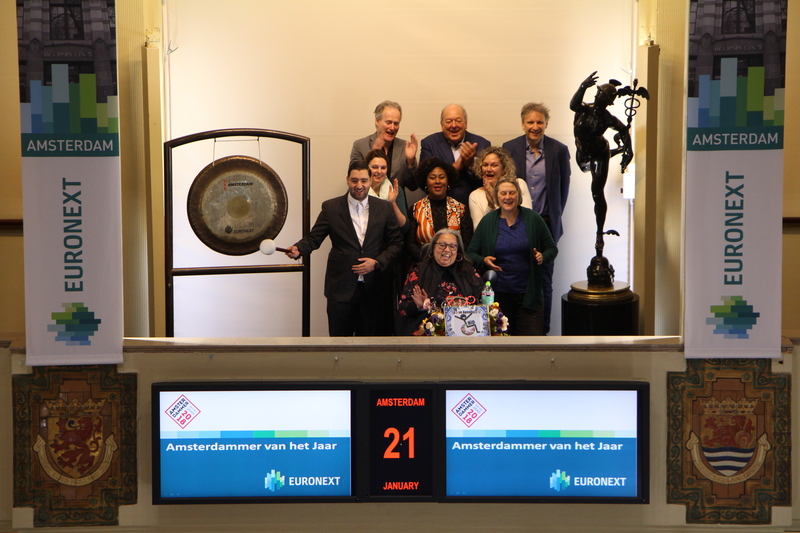 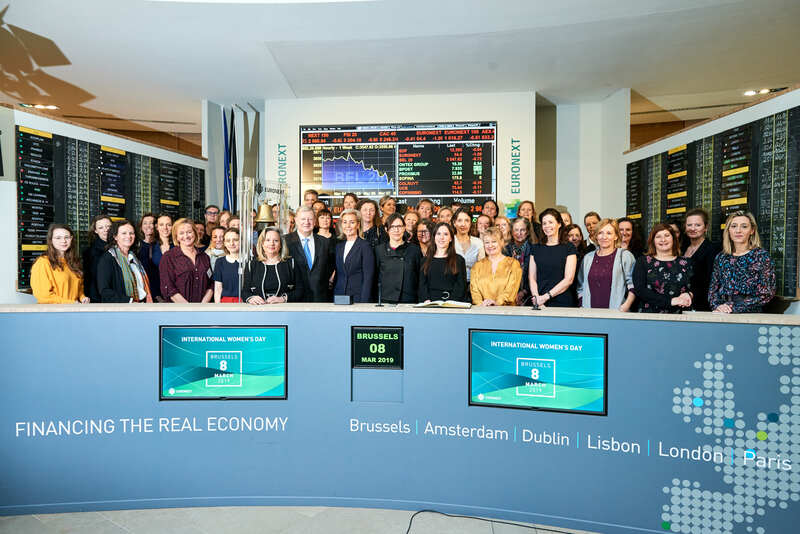 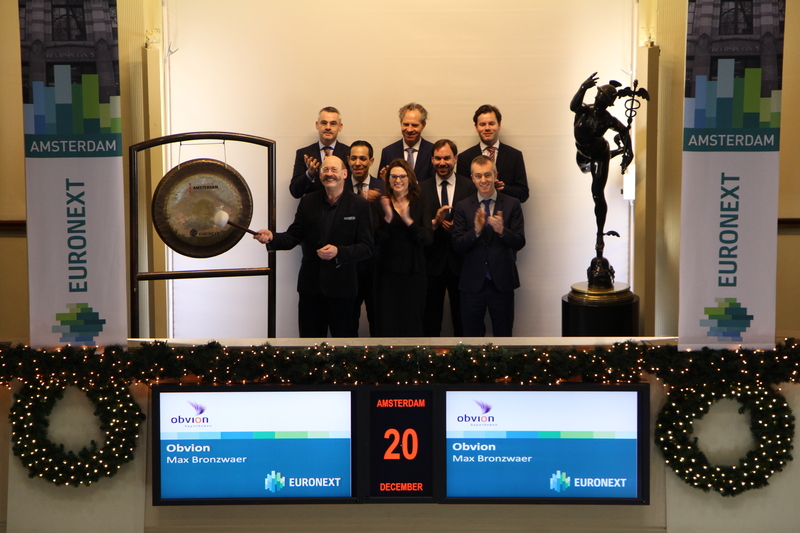 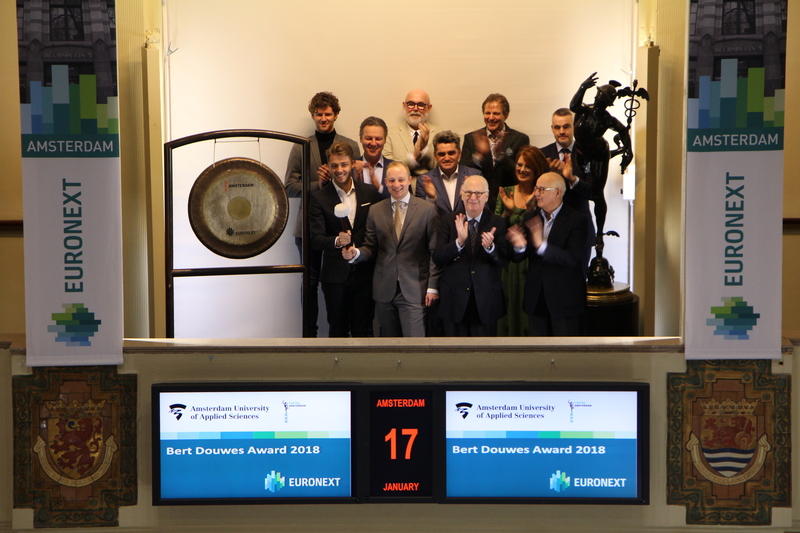 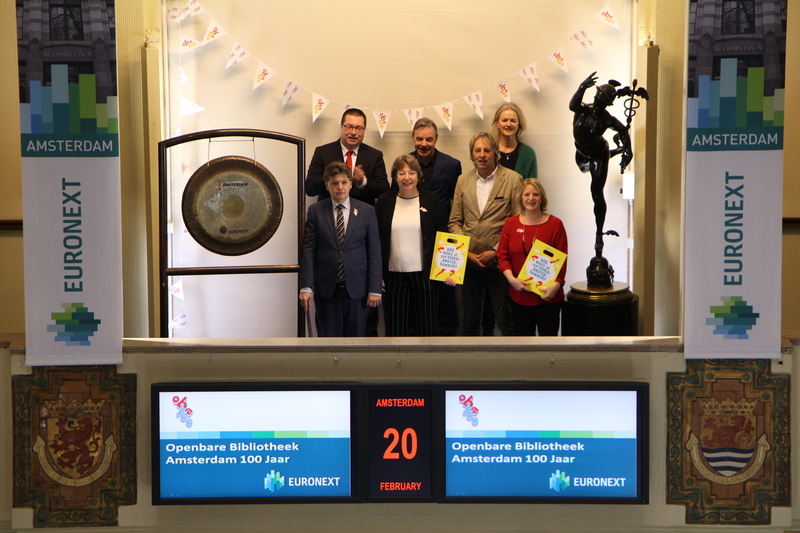 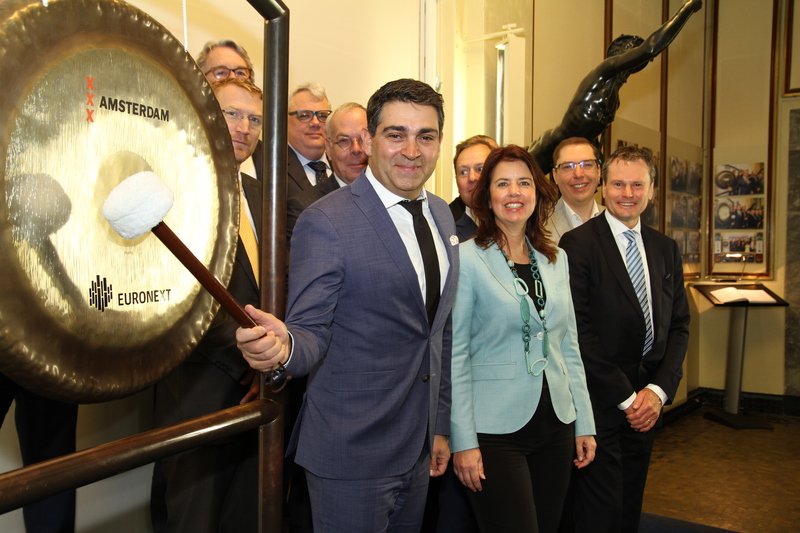 The first options exchange in Europe was founded in Amsterdam in 1978. 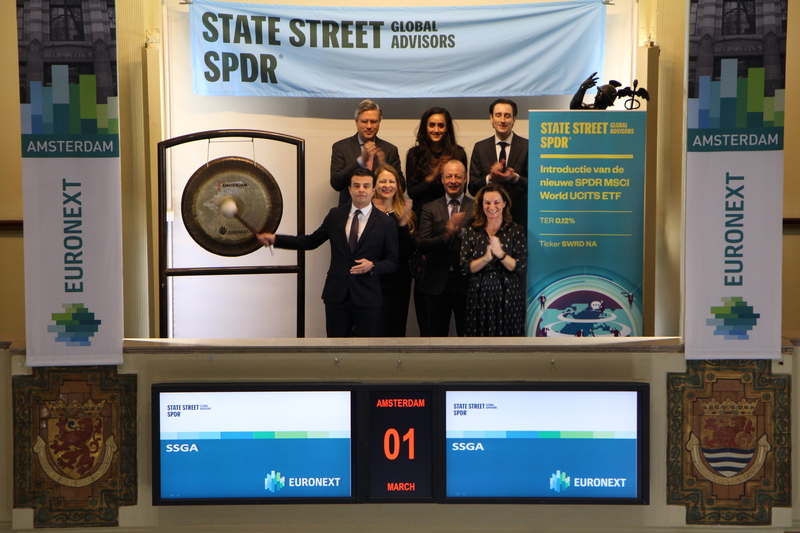 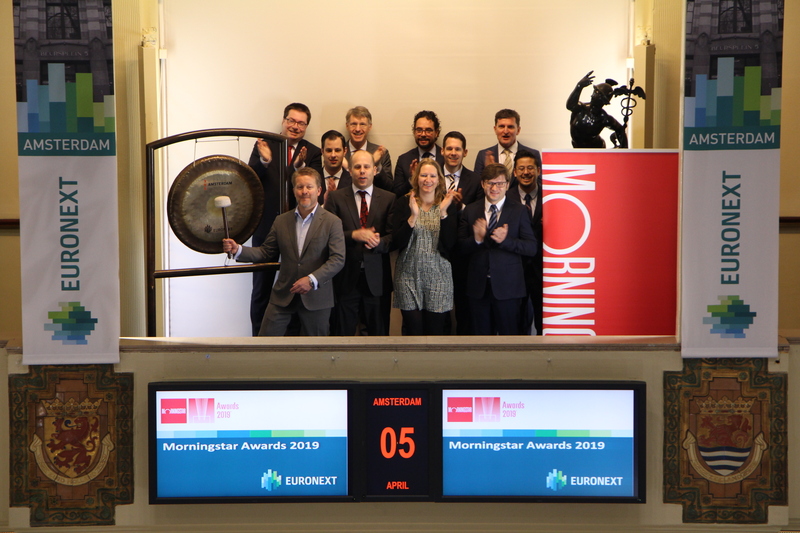 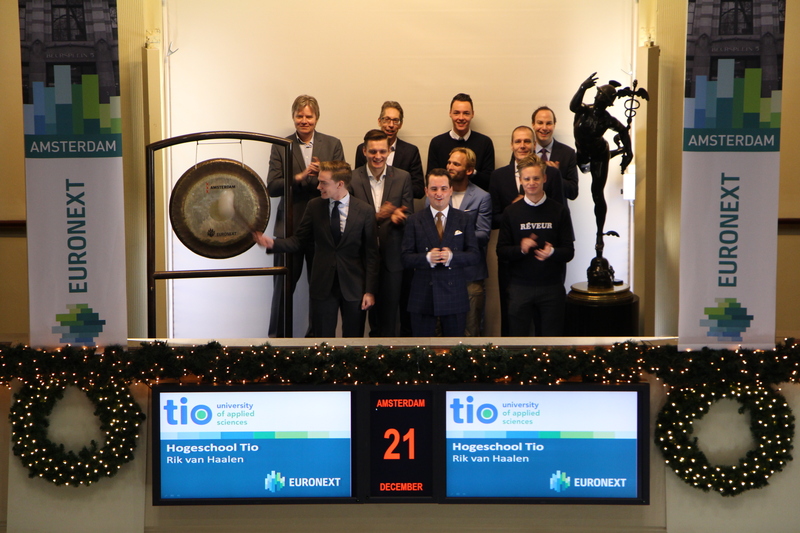 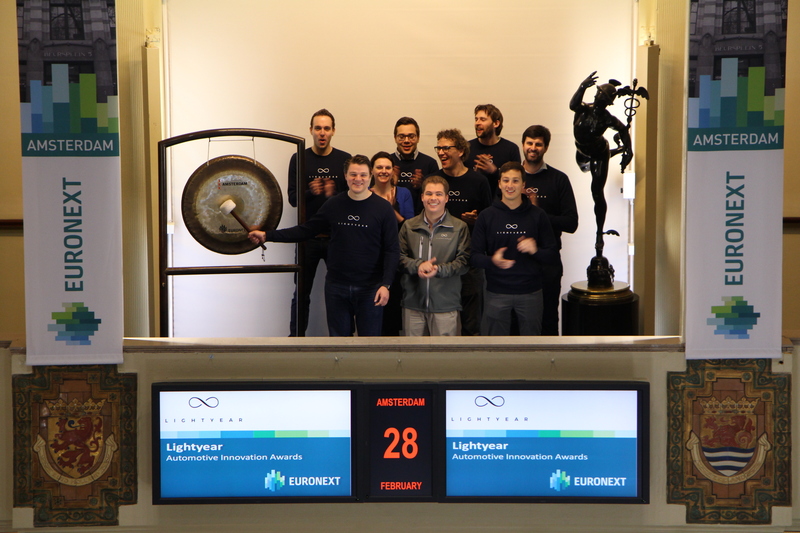 The largest High Frequency Traders in the world in 2019 are in Amsterdam. 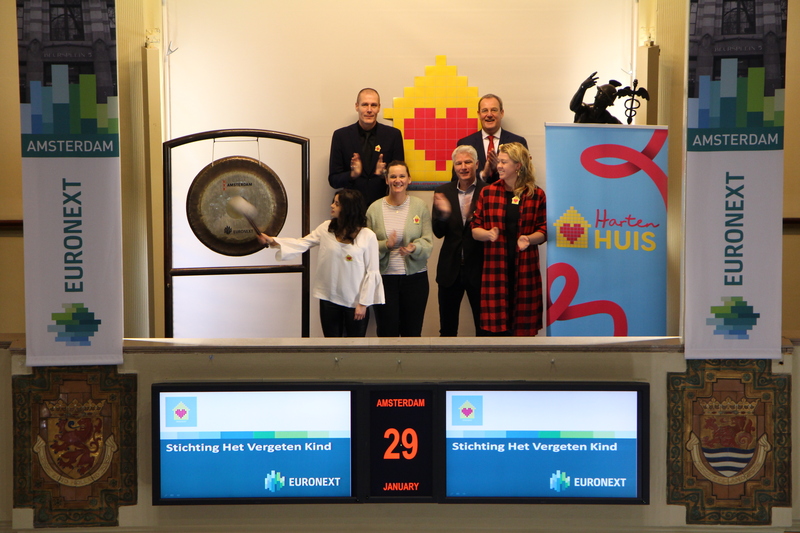 It is my great pleasure and honour to open this trading day,” says Chris de Groot. 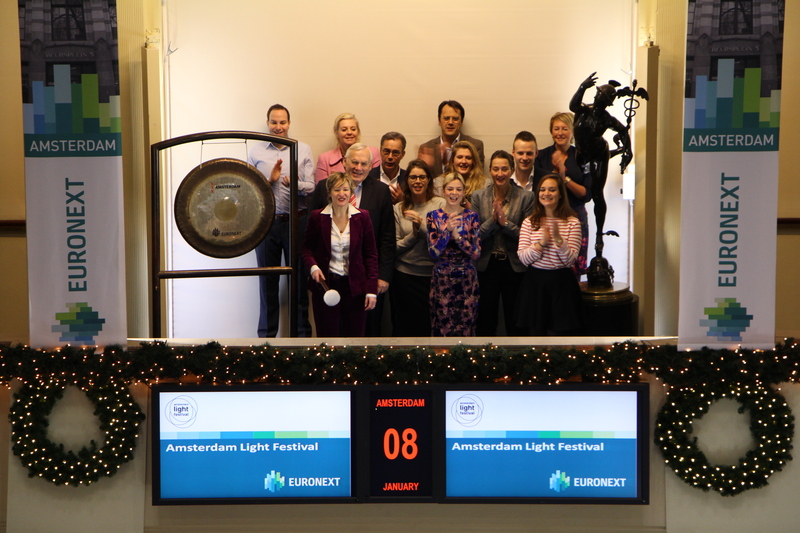 Financial Assets Executive Search, established in 1998, is a leading Dutch Executive Search & Interim Management agency. 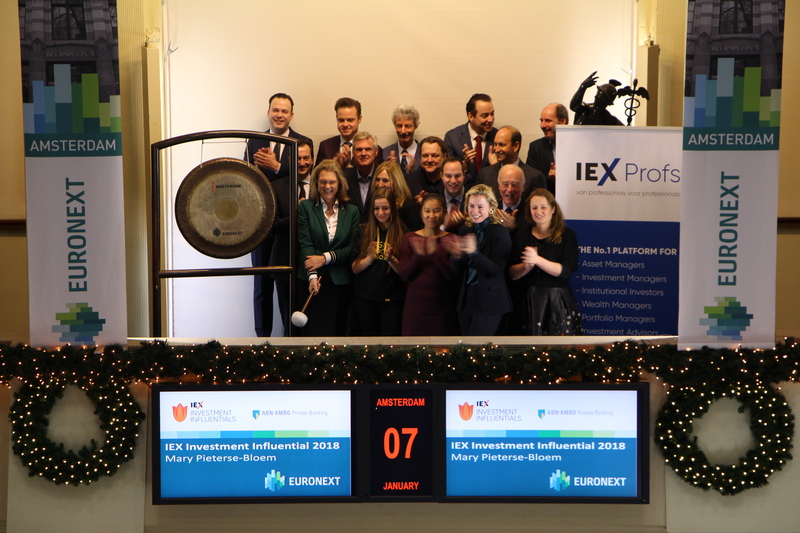 It focuses on board, management and specialist positions in Asset Management, Banking, Brokerage, Corporate Finance, Risk Management, Compliance, Treasury, Finance, Actuarial and IT. 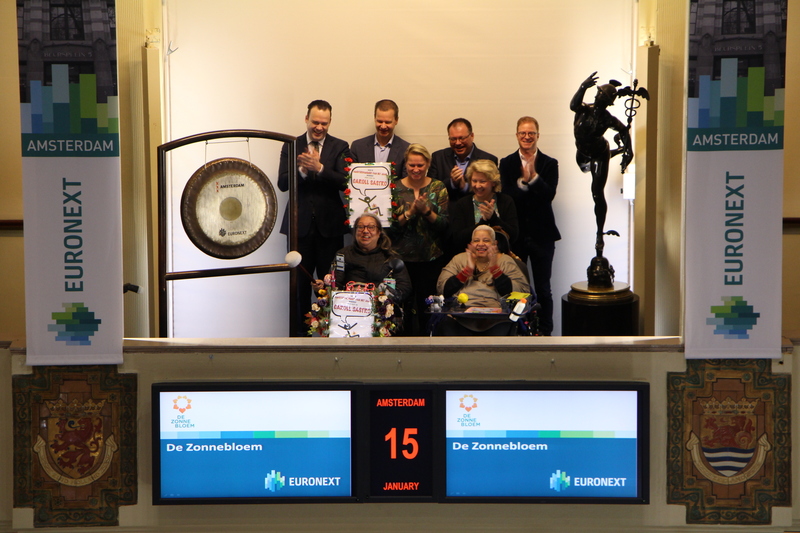 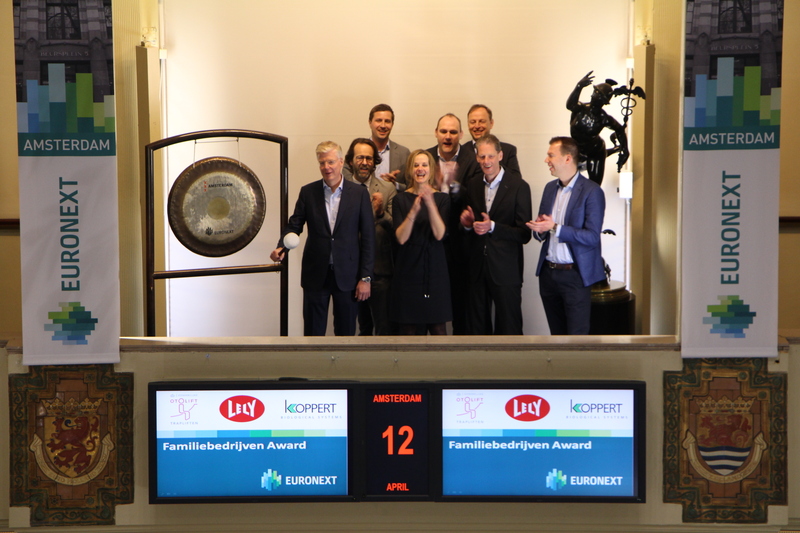 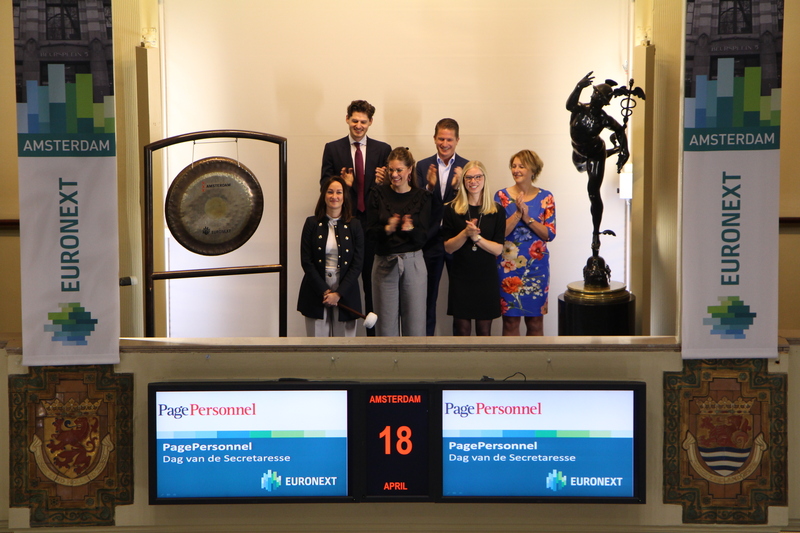 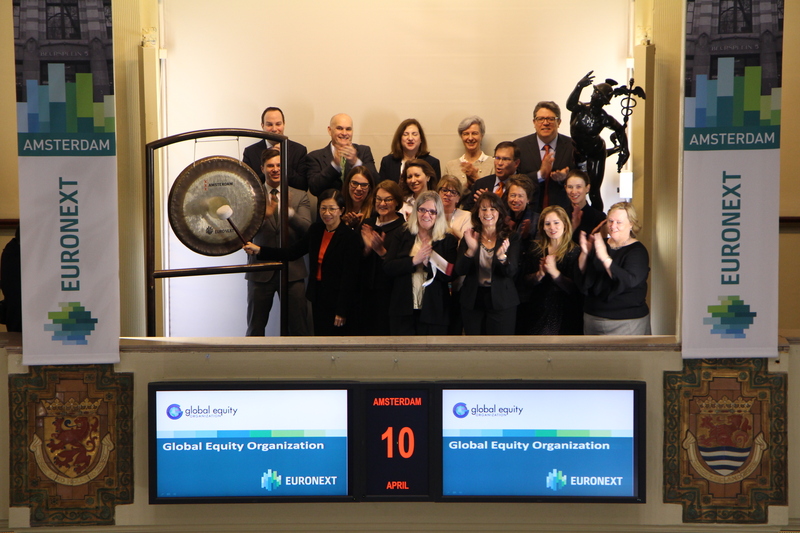 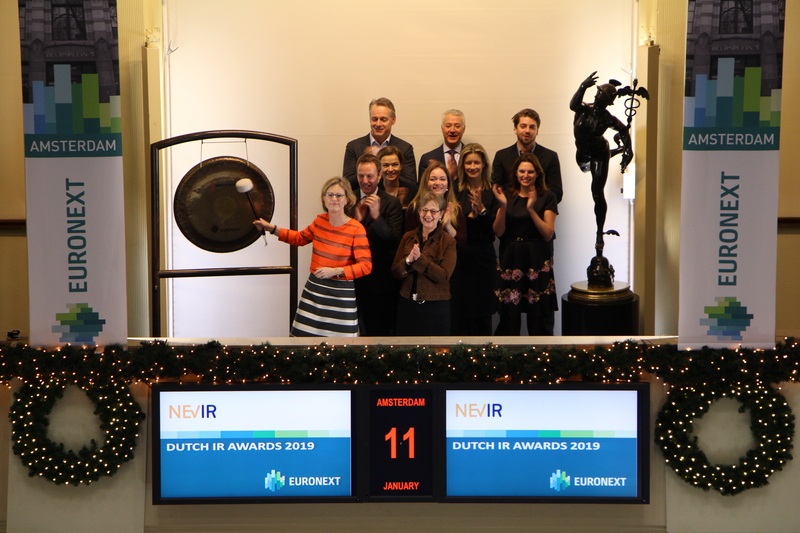 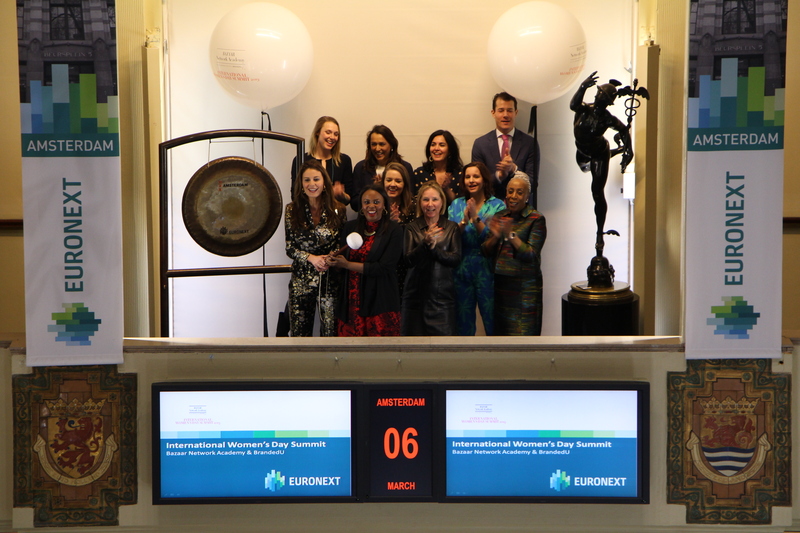 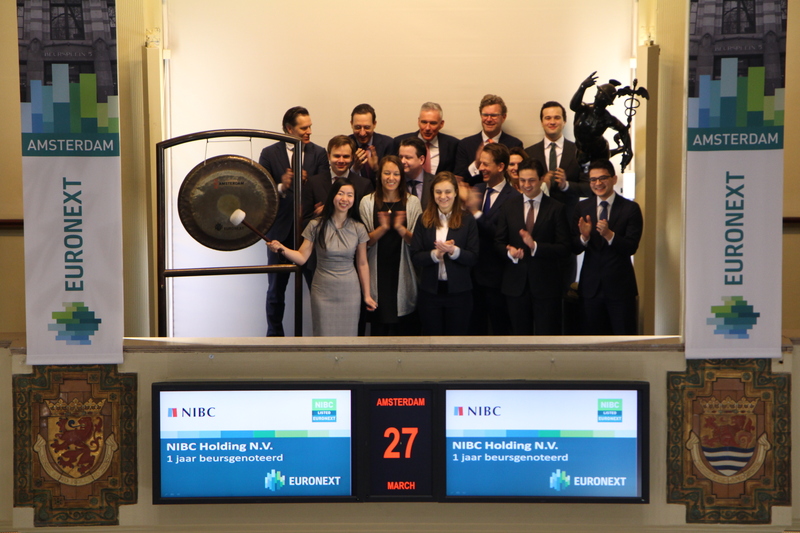 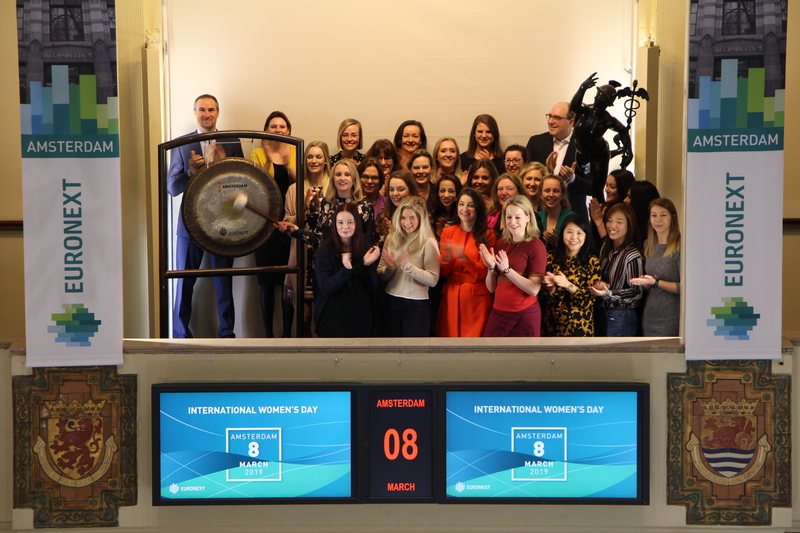 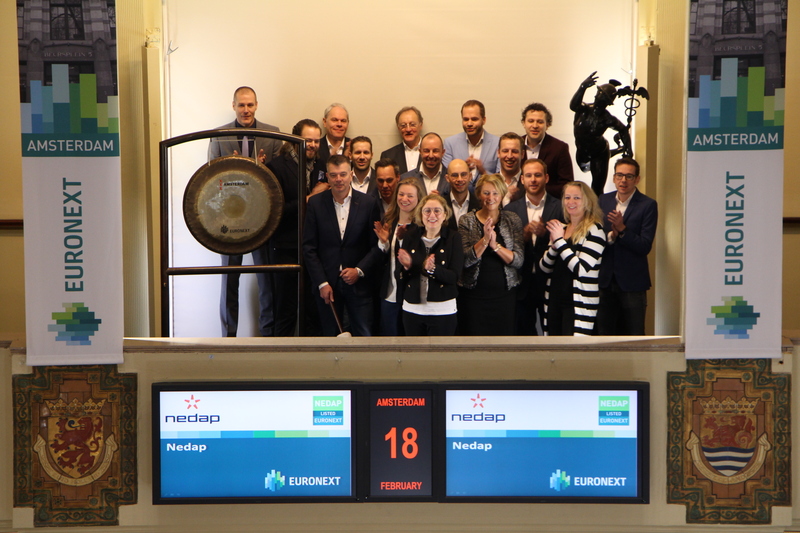 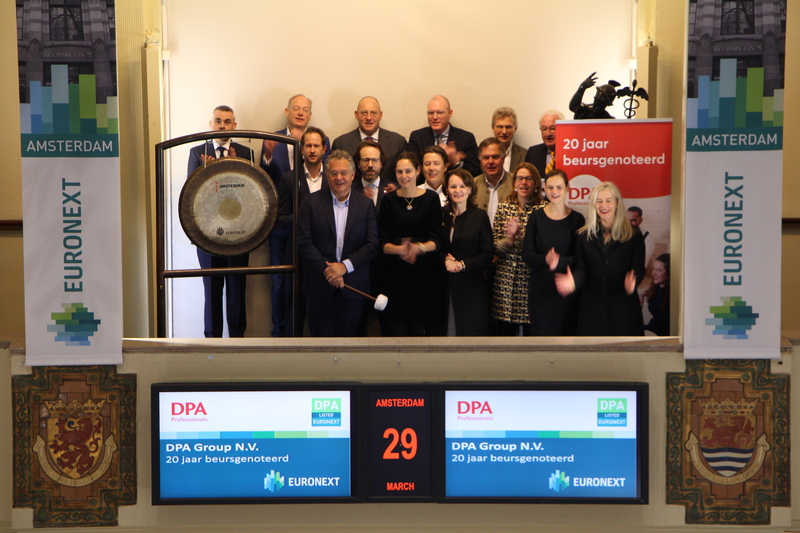 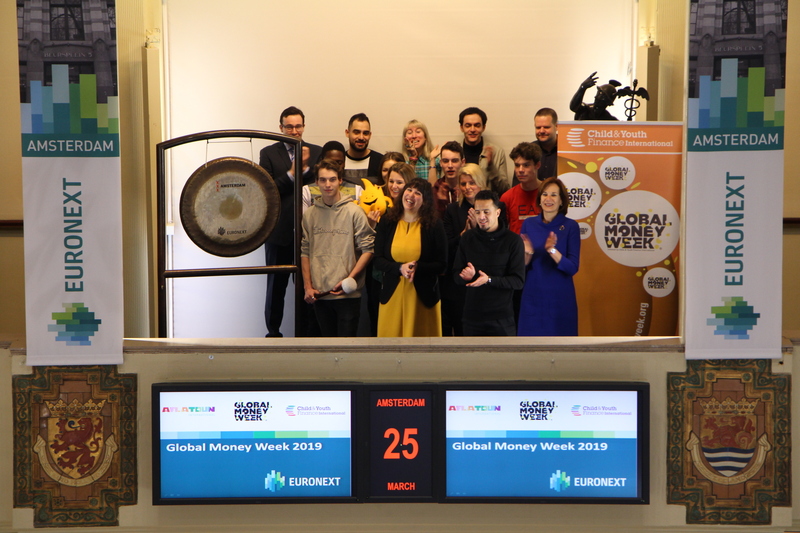 In honor of Secretary Day Lizzy Blom, Personal Assistant to Nicolas Béchu (Regional Managing Director Northern Europe & Germany, PageGroup) and Olivier MacPherson (Regional Finance Director, Northern Europe, PageGroup), sounds the gong.